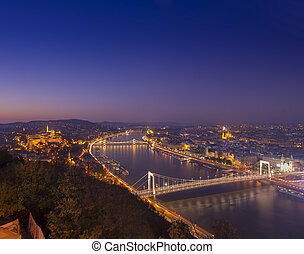 Budapest cityscape at night. 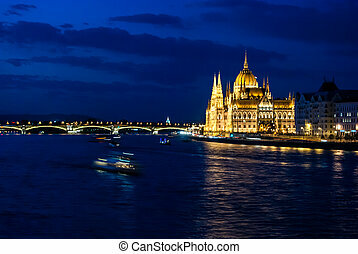 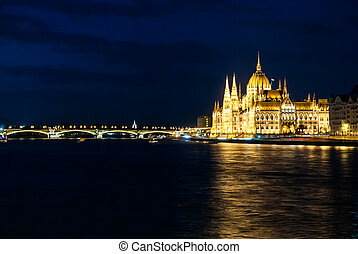 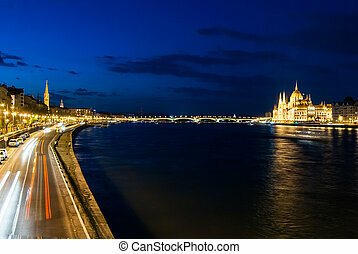 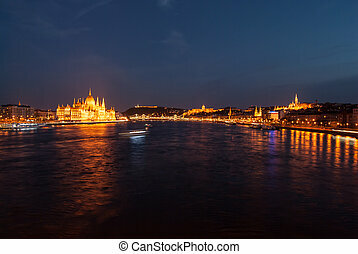 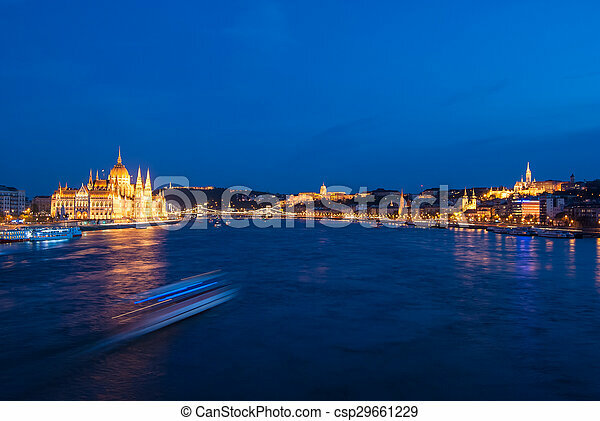 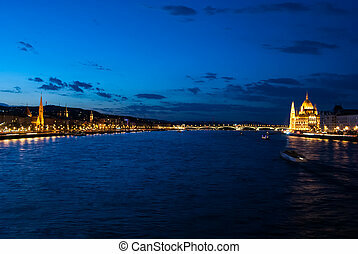 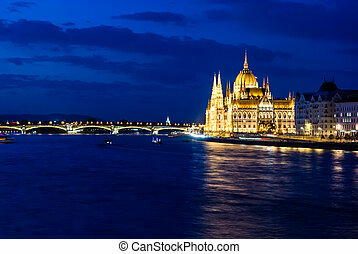 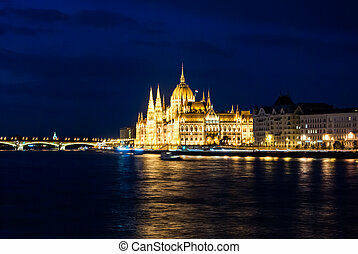 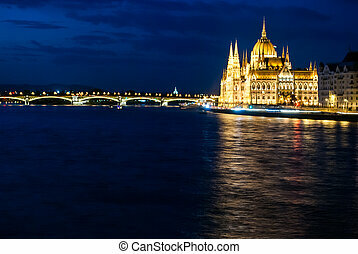 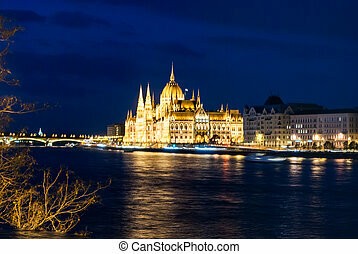 with the all main landmarks of the city visible ()from left to right): hungarian parliament, liberty statue, buda castle, fisherman's bastion, matthias church. 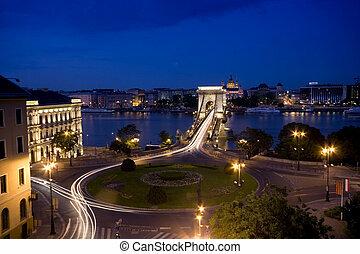 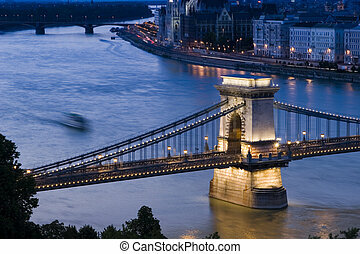 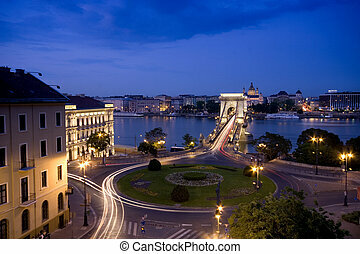 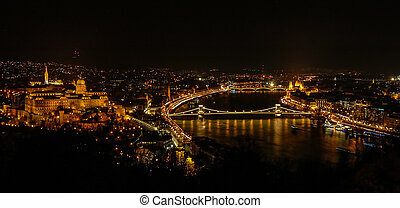 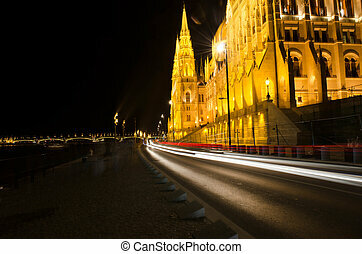 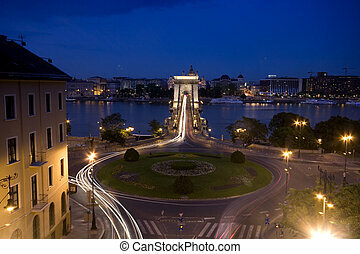 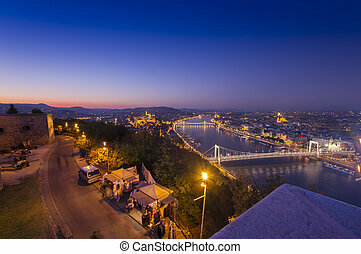 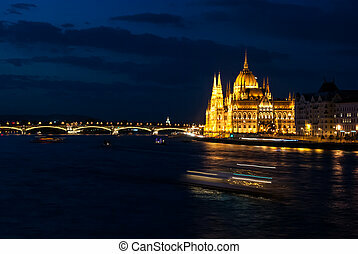 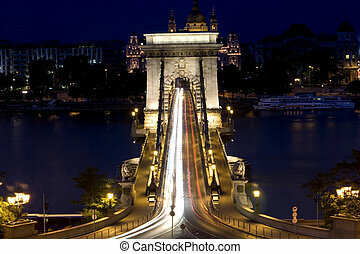 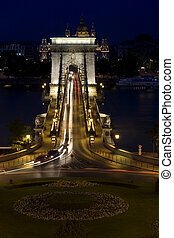 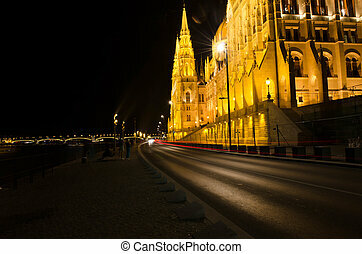 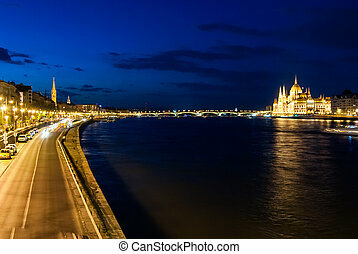 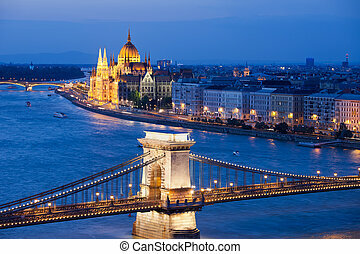 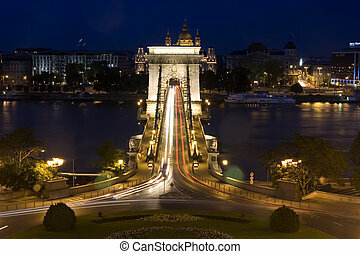 Budapest cityscape at night with Chain Bridge over Danube river and Parliament Building in the background. 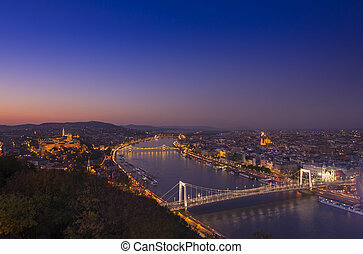 Budapest Cityscape at night. 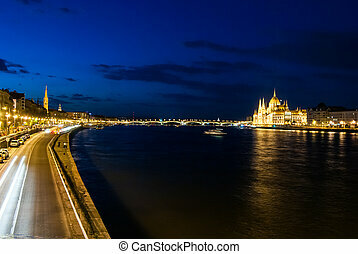 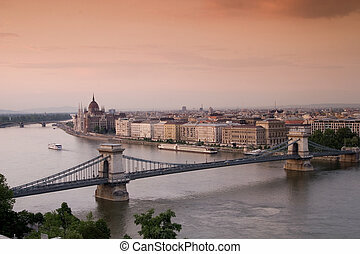 With the Hungarian Parliament and Margit Bridge. 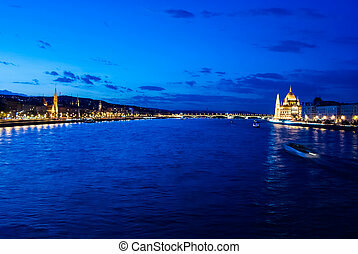 Beautiful reflection in the water of Danube river.